Mistletoe problems in western orchards – getting worse? A snapshot graphic from one of the Mistletoe League Surveys. The issue of ‘too much mistletoe’ has been on my mind again recently – helped along by email correspondence from Gillian Bulmer, who owns orchards at Little Breinton, Hereford and by a recent letter to the Hereford Times by Chris Fairs, formerly of Bulmers cider and an expert on orchard tree management. 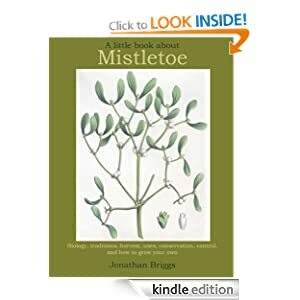 The issue is one I’ve raised many times before – though it is often difficult to get the concept across, especially to the media, who are usually far more interested in stories about mistletoe rarity, not abundance. Even the conservation lobby seem to find it hard to grasp sometimes. Very odd. Yes, mistletoe is rare across much of the country, and yes, mistletoe is good for biodiversity, supporting several other species. And yes it is a traditional plant to grow, with much cultural significance. So, for all those reasons, it is a GOOD plant to have, and even encourage, in areas where naturally rare. BUT here in its core climatic area (Herefs, Worcs, Gloucs (Severn Vale), Gwent (borders) and Somerset) it grows in huge abundance. And where it is in neglected apple orchards (a favourite habitat and host) it will run amok, taking over each branch of the tree. General mistletoe management in many older orchards has now ceased, or is much reduced, with often only some fairly random harvesting for Christmas. That harvesting tends to only take some of the berried female plants anyway, so it usually leaves well over half (the male plants and remaining female plants) the mistletoe on the trees intact. Harvesting is not management. Plus there is evidence (observations only usually, few hard data) that mistletoe is spreading faster than it used to – mostly noticed in areas where it is usually scarce, but also possibly in its core climatic area too (more difficult to measure here though). Why is too much mistletoe a problem – surely it’s only a hemi-parasite? Well yes, it is fairly harmless in small quantities. But every branch it grows on is tricked, by the mistletoe, into supporting it, the mistletoe, rather than the tree. And so if it is on every branch that tree is in trouble (as is the mistletoe of course!). The problem is compounded by mistletoe’s greed for water – it will transpire water from the tree’s roots freely, all year round, meaning the tree’s leaves are thirstier than they should be in summer and very stressed in prolonged dry weather (see Mistletoe Diary entry here for more info). And then there’s wind-blow of course (eg see the Mistletoe Diary entry below this one for examples). So some mistletoe good, loadsa mistletoe bad. (For some general background on mistletoe rarity, management, distribution issues etc have a look at the various Mistletoe Matters Information Sheets here or here). 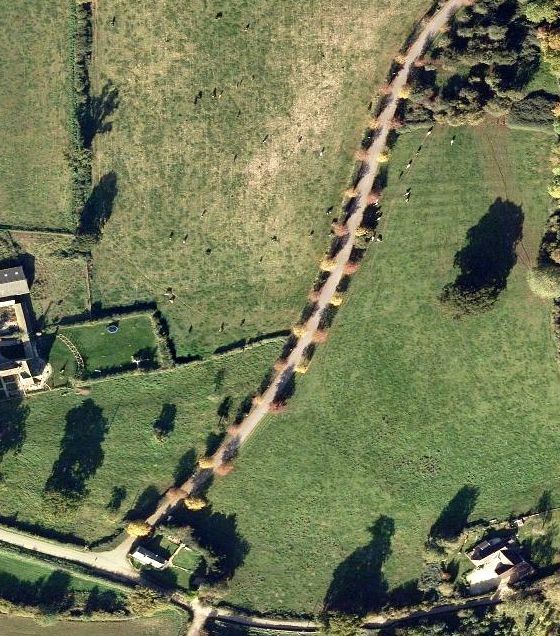 This is, obviously, a problem that needs to be addressed, and must be a key part of any orchard management strategy in this area. But it is difficult to get ‘authorities’ to take it seriously – largely, in my view, because there are no hard data on the problem. No-one has attempted to quantify it, and without statistics the problem doesn’t exist in any formal strategies. One attempt to rectify this is the Mistletoe League Project I set up a couple of years ago. This aimed to gather management information over several seasons, anticipating slow take-up. And indeed participation has, so far, been limited. I obviously need to do rather more promotion of it next winter, and perhaps simplify the data entry forms to make it more attractive. But I thought it would be worth posting some graphics of preliminary results up here on the Mistletoe Diary, for the record, and to help inform discussions. 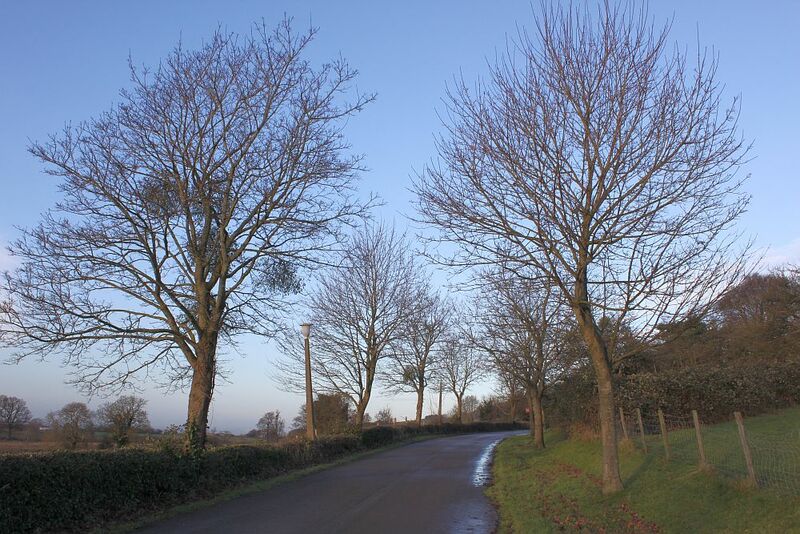 There are some new initiatives in the pipeline that might help with mistletoe management, not least the developing (but not yet fully formed) Three Counties Orchard Project which is promoting conservation and management of orchards across Herefordshire, Worcestershire and Gloucestershire. Mistletoe management must be a factor in that. But even projects like that are short-lived, as their funding only lasts a few years. The mistletoe and orchard problem is here to stay, and needs long-term strategy. Mistletoe Berries or Rugby Balls? Today I just wanted to post some pictures of aberrant berries. 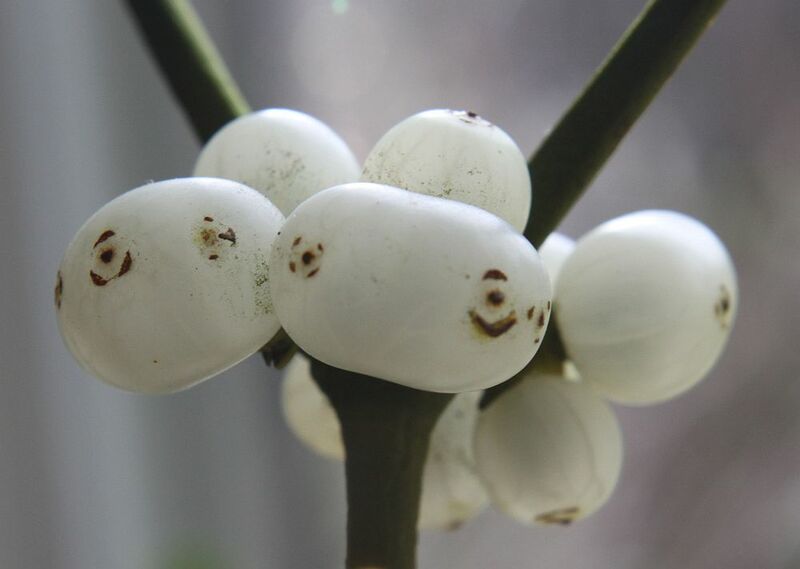 Mistletoe normally has such perfectly-formed spherical berries, each with a single seed, but sometimes the berries fuse in growth, creating monster berries, distorted laterally, and containing several seeds. One of the plants I was looking at at the weekend had lots of these, perhaps indicating some physiological problem in ovary development, or maybe even genetic disposition, that causes merging (or perhaps splitting, it could happen both ways). Despite the fusing you can still spot how many berries this should be – as the floral structure leaves a scar on the top of each berry. 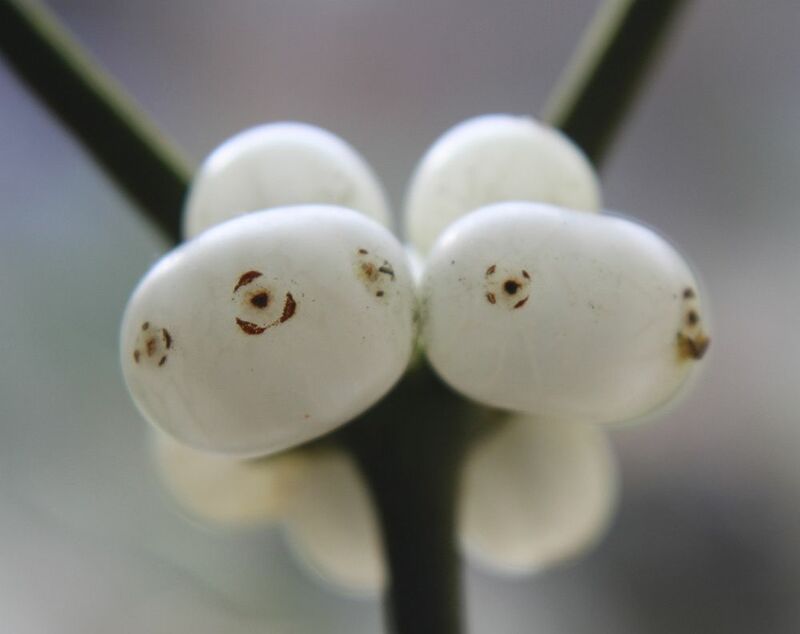 The big rugby-ball berries in these pictures have 3 scars – so they are three berries in one. Commercial break – want to grow mistletoe? Give the plant that grows kisses for Valentine’s Day!